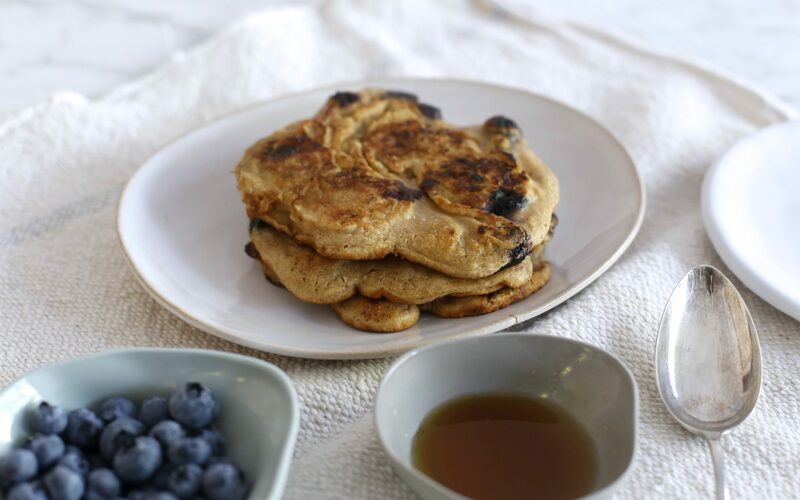 I love these pancakes when I’m feeling a bit naughty…….however, they are not actually THAT bad for you so there’s no need to feel too naughty!! I added blueberry and banana into my pancake batter but you could try strawberries, raspberries, pineapple, pear, apple and so on. The same goes for the topping, I used shredded coconut, fresh blueberries, coconut yoghurt and maple syrup but you could try any nuts and seeds, dehydrated fruit, honey, etc.